The Wax Max was a project both Lucio Fulci and Dario Argento worked on. They both agreed upon to remake House of Wax. But Lucio Fulci's health was failing and unfortunately died. 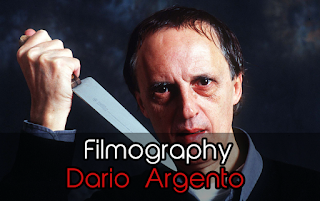 Special effects guy Sergio Stivaletti then was tasked by Dario Argento to take over as director. 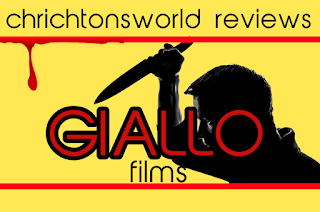 Fulci wanted to make a more atmosphere based film while Argento wanted to emphasize the blood and gore. This was right up Stivaletti's alley so in the end he seemed a better fit to Argento's needs. It is understandable why Fulci wanted to have a more atmosphere driven story since the original was as well. 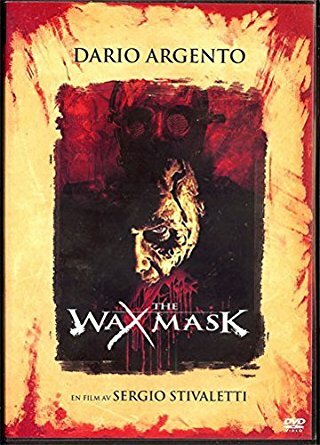 Strangely enough the combination of gothic horror and the special effects extravaganza is what makes The Wax Max a real thrilling and fun experience. Without the special effects I am afraid The Wax Max simply would not have worked since apart from a few misdirections and red herrings there aren't that many surprises plot wise. It's the technical marvel that provides the killer twist (at the end) which btw you will never be able to guess or predict if you have never seen it before. It seriously redeems any flaw and mistake tenfold in case you think the film is a little slow. On top of that there are just enough giallo characteristics to make this remake stand out from the original. There are even hints of the supernatural to make you doubt what you have seen. I personally like it when a film goes above and beyond to trick you in this fashion since it makes it harder to foresee of what's coming. And yet there is one flaw that could ruin the viewing experience a little. It's English dubbing. I tried to track down the original version but to be frank I am not even sure if that exists. In any case it's awful. The voice actors do a real terrible job of emoting what is happening on the screen and if it weren't for the original actors the whole film would have been a joke. But actors Robert Hossein (as Boris) and Aldo Massasso (as Inspector Lanvin) really pull you in the story and make you take events seriously. These veteran actors are a prime example of how important experience can be sometimes. Some reviewer stated that The Wax Max wasn't original or creative enough to stand out. I couldn't disagree more. Sure the film has a lot of traditional and conventional horror elements. But it also features elements you normally wouldn't use in combination with these conventional ones. This film does and the end result is totally insane and therefore incredibly brilliant.